The community of St. John Bosco Catholic School invites you to our Open House! Join us Monday, November 12, from 8:30am-11:00am to learn more about our Preschool and Kindergarten Programs. Your child is invited to join our current Preschool and Kindergarten classrooms for a fun activity while you learn about the Preschool and Kindergarten Curriculum from our Preschool Director and Kindergarten Teachers. Find out more about how to make Catholic education affordable. Go on a guided tour led by our parents and student ambassadors. 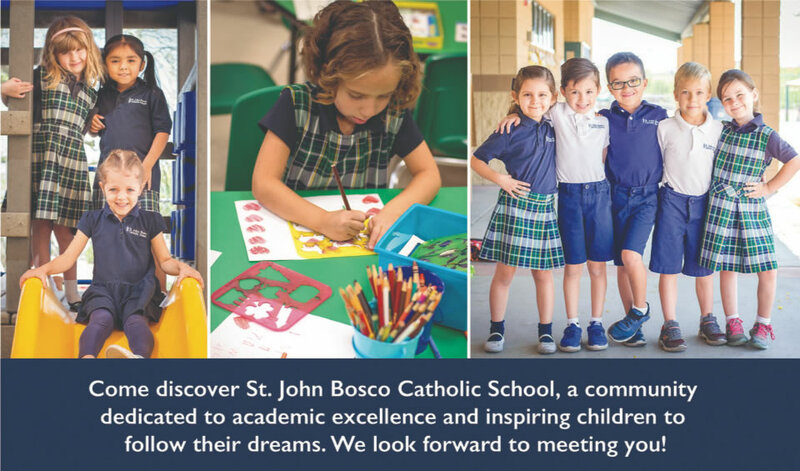 Come discover St. John Bosco Catholic School, a community dedicated to academic excellence and inspiring children to follow their dreams.